Polywell has extensive experience in medium-sized projects for Federal and State government entities. We offer custom configurations and other services that meet a wide range of requirements. We also offer more options and choices for small and medium scale contracts. We have a combination of adaptability and history that enables us to handle jobs that are not normally handled by first-tier vendors. Specifically, we provide high volume drive imaging services and a scalable product supply cycle of as much as 18 months. Polywell's Federal Government GSA Contract No. is GS-35F-0814M. For more info, please contact our government sales representative at gov.sales@polywell.com or 800-999-1278. MiniPCs - the future of computing. 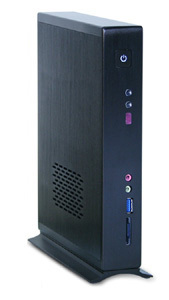 Small yet just as powerful as full tower desktops. 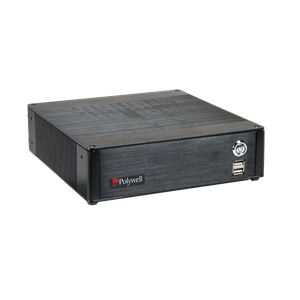 Low power consumption, low noise, easy deployment. These computers are fully customizable to meet your every needs. Vehicle/Boat PC, Set Top Box, Digital Signage, Network Appliance, Traffic Control, Kiosk, POS, Surveillance. Choose from our wide range of products, from blade servers to storage solutions to workstations. Contact our Goverment Department for direct assistance at 1-650-583-7222.